When you need vehicles for work, you want a brand you can rely on and trucks and vans that don’t shy away from hard work. RAM commercial trucks and vans deliver serious towing and hauling power. 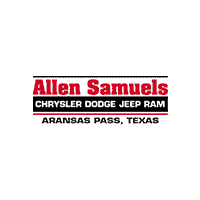 Whether you’re looking for a pickup like the RAM 1500, RAM 2500, or RAM 3500, or you need a large van like the RAM Promaster or RAM Promaster City, Allen Samuels CDJR Aransas Pass in Aransas Pass has you covered. We offer a large inventory of affordable commercial vehicles for sale, as well as additional ways to save for eligible association members. Take a look at the RAM commercial trucks and vans available, the contact us to learn how we can help you business.